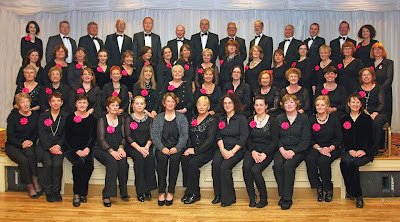 Tomorrow night we will be performing our 30th Birthday Concert "A String of Musical Pearls", at the Hotel Kilmore at 8pm. We have a terrific programme planned, featuring our soloists Brian McKeever, Martina Lee Boyle and Dermot McMonagle as well as Cavan Sinfonia. 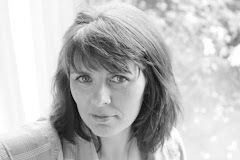 Eileen Tackney will accompany us, and Directing us all will be Sue King. The programme features songs we have been singing for 30 years (Java Jive, Cantique de Jean Racine), songs brand new to our repertoire (Adiemus, Benedictus from Jenkins's Mass The Armed Man), and everything in between. We will have songs for audience participation - don't foget your Messiah score if you wish to join us in the Hallelujah Chorus! There we are pictured neatly lined up at our dress rehearsal - well, most of us!! Well done to photographer Lorraine Teevan for getting us into order. Front Row L to R: Claire Crowe, Orla O’Sullivan, Phyllis McMonagle, Bríd Brady, Selena Barry, Sue King, Frances Galligan, Carol Watson, Nollaig Amond Murray, Mags Amond, Áine Duffy, Liz Murray.